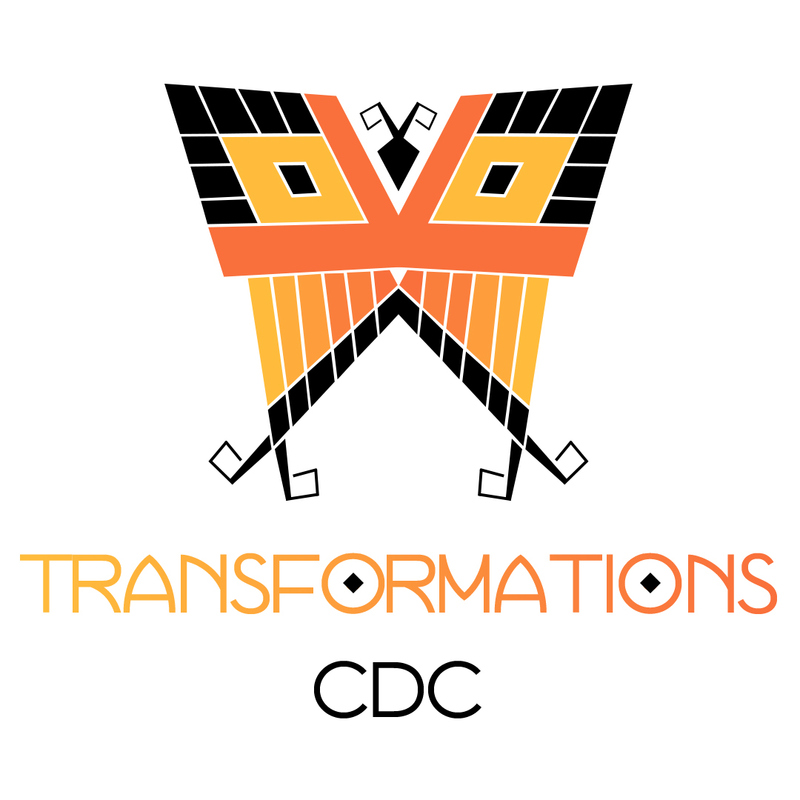 I designed the logo for Transformations CDC, a non-profit created in order to serve the growing immigrant community in the Cincinnati, Ohio area. Its mission is to build bridges to recovery, restoration, and self-reliance for persons who have struggled to survive; overcome the legacy of slavery, prejudice and racism; find ways out of oppressive poverty; strengthen families and households, nurture and support children; restore community; and connect people with spiritual power. The logo portrays a Monarch butterfly in the style of a Mayan weaving. The Monarch is a rich symbol in the indigenous cultures of Mexico and Guatemala. It represents metamorphosis, crossing borders, and ultimately; the transformation that the organization hopes to bring into people's lives. A Mayan weaving inspired monarch butterfly logo for a immigrant and refugee serving non-profit in Cincinnati, Ohio.